I wrote this post for RichmondMom. You can read the full post here. 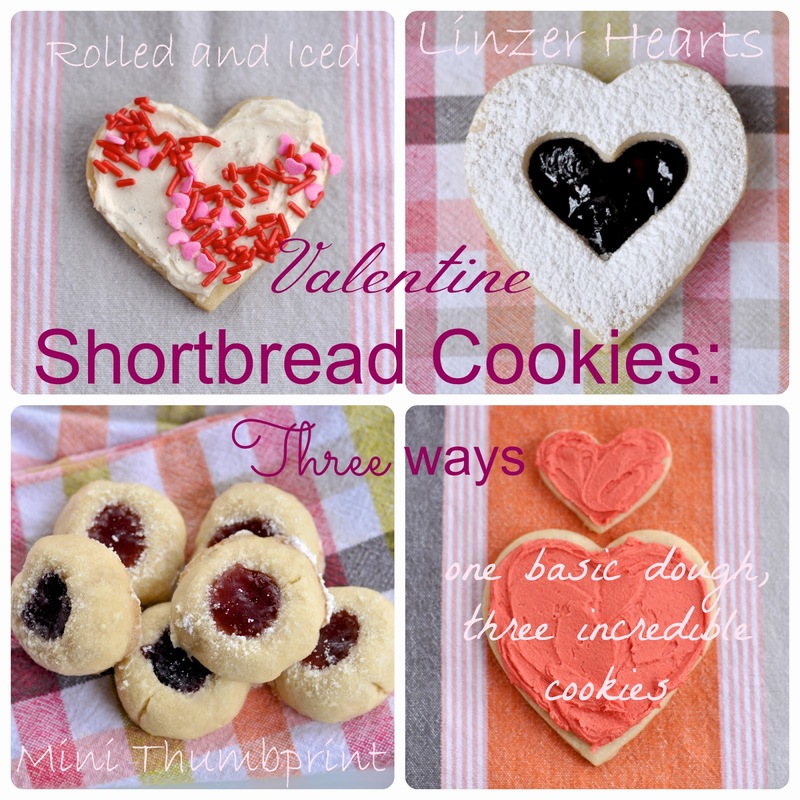 Whether you’re scouting for a sweet treat to gift your valentine or a fun baking activity to celebrate with your littles, these shortbread cookies are just the thing. Made with only a handful of pantry staples that you probably already have on hand, I love the versatility of this rich buttery dough and the ease with which you can transform it into an offering of affection in practically no time. Mix up a batch (or two!) of basic shortbread and then consider what will tickle your fancy: rolled cookies, linzer cookies, or mini thumbprints. A few perfectly imperfect sugar treats from the heart are sure to capture the attention of your darling valentines. In the bowl of an electric mixer cream together the butter, sugar, and vanilla until it is well combined. Add the flour and salt, and mix on low speed until it begins to come together. Then dump it onto a floured surface and gather up all the crumbs into a ball. *A quick tip on knowing when the cookies are done: Look for the dough to puff up, but not brown. I prefer a buttery and crumbly texture, so I pull them out when the cookie begins to golden up where it meets the pan. If you like a crunchier cookie leave them in for a minute or two longer than specified. If you cut out cookie shapes of different sizes, baking time will vary so keep an eye on the little guys and pull them out when they look ready—be careful when transferring cookies straight from the rack, the shapes are easy to distort when they are hot.